Successful YouTubers make as much as six figures a year and the most popular faces have net worths of over $1 million. 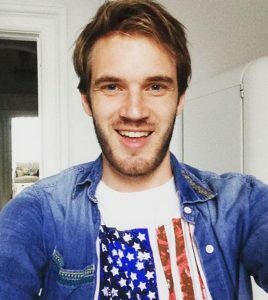 PewDiePie is a perfect example of someone who has taken advantage of the way YouTube works and has been able to build a substantial amount of wealth from it. 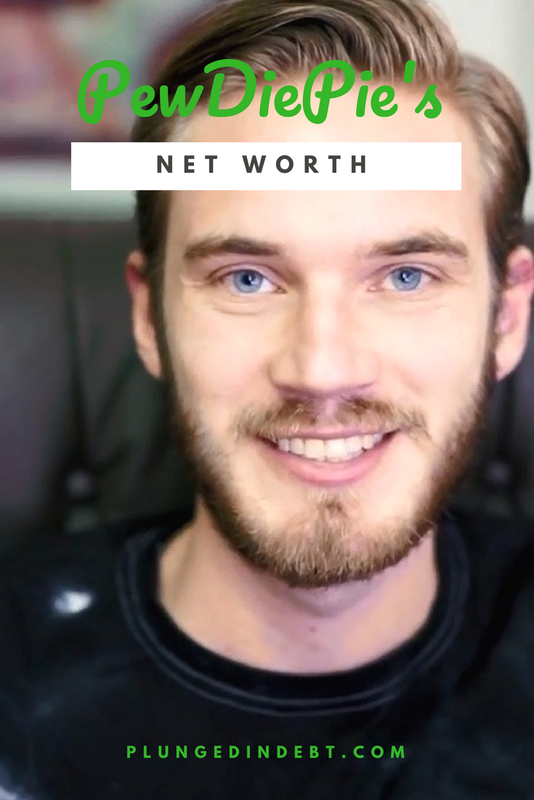 How high is PewDiePie’s net worth and how much of it has come from the streaming site? PewDiePie was born Felix Arvid Ulf Kjellberg on October 24, 1989, in Sweden. Over the years he has become better known by his Youtube pseudonym, however. His web-based comedy series has been one of the top Youtube channels for years. In 2010, while attending school, PewDiePie registered his YouTube account. After a while, he decided to quit school (much to his parent’s dismay) and start focusing on his Youtube content. Within just two years he surpassed 1 million subscribers. During his time on YouTube, he has worked underneath many different multi-channel networks, as many other YouTubers have. More recently he was dropped from his network because of anti-Semitic remarks made in one of his videos. It doesn’t seem to have hurt his following any though. Today PewDiePie has more than 55.1 million subscribers and 15.3 billion views, making him the most subscribed YouTuber of all time. Let’s get to what really matters though. What do all these numbers mean for PewDiePie’s finances? PewDiePie’s net worth is an estimated $20 million, which is pretty low considering he made $12 million in 2015 alone. However, the young Swedish comedian has seen a lot of success from the streaming site. As you may know, Youtubers get paid per 1,000 views. For every 1,000 clicks, their video gets the owner of the channel receives between $1.50 and $4. Once you accumulate followers like PewDiePie and so many others have you can see how the money could start stacking up. Unlike many of the other Youtube celebrities out there, PewDiePie does not have other sources of income (and it doesn’t seem like he really needs them). Because he has so many subscribers he’s been able to focus on Youtube alone for his income. He will eventually need to find alternate sources of income in the future but, for now, he seems right on track for maintaining his current wealth. PewDiePie is continuing to post on his YouTube channel regularly and will likely continue to grow his following and his cash flow in the years to come. What other YouTubers would you like for us to cover? Let us know in the comments.